We all need a do-over from time to time. A fresh start, a second wind, a clean slate. That’s what I love about Mondays! What a beautiful promise! 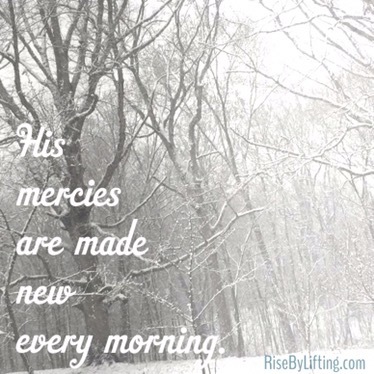 It’s good to know that EVERYDAY, no matter what, his mercy is unending. Every morning I have a clean slate. That just rocks! God’s steady love for me never ceases, even when I’m the most unlovable. May the peace and hope of Christ shine forth from your face this week. I’d love it if you subscribed to Rise By Lifting & checked out NubAbility Athletics @NubAbilityAthletics on IG. Thank you! Previous Post I Have A Secret!